Enjoy Beautiful Skin. Enjoy Peace of Mind. What many people don’t tell you about pregnancy is that your skin goes crazy. I mean, absolutely nuts. 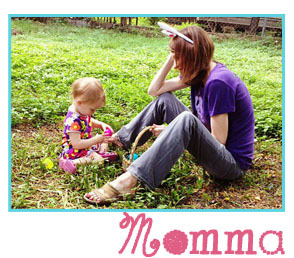 Acne, dry-skin, eczema, skin tags are just a few of the oh-so-lovely issues pregnant moms can have with their skin. This post I’m specifically talking about the first trimester skin issues where acne is the most common. Why? Well, women have all those fantastic RAGING hormones that begin surging through their body that triggers an increase in oil production. Even women who are lucky enough to have blemish free skin are not immune to the first trimester acne. I was lucky that I found Belli during my pregnancy with Brie and it helped keep my pregnancy acne at bay, so now I’m passing on the info to all of your mommas out there! Sure, there are the tried and true ingredients to prevent and stop acne at any cosmetic aisle, but as any pregnant lady can attest, the list of ‘ingredients thou shalt not use’ during pregnancy is about a mile long. Most of the OTC products are not safe to use during pregnancy, so how do you stop these nasty blemishes from rearing their ugly head? Luckily, Belli Skin Care has safe and effective products for pregnancy prone skin and they have two first trimester must-haves: their Anti-Blemish Facial Wash and Acne Control Spot Treatment. Like all Belli products, they are screened to eliminate any and all ingredients shown in clinical studies to have even the remotest connection to birth defects or other problems of pregnancy. Whew! Belli Anti-Blemish Facial Wash is a pure face wash that leaves skin clear and refined, without over-drying or irritation. Lactic acid (found naturally in the body) gently and effectively cleanses and exfoliates acne prone skin. Lemon peel oil is a natural anti-bacterial and skin brightener. Green tea extract and cucumber are rich in antioxidants. FREE OF salicylic acid, glycolic acid, and benzoyl peroxide-common acne fighting ingredients that can result in over-drying and irritation and should be avoided during pregnancy. Anti-Blemish Facial Wash is a favorite of those struggling with blemishes, sensitive skin, or breakouts from any cause including hormonal changes. 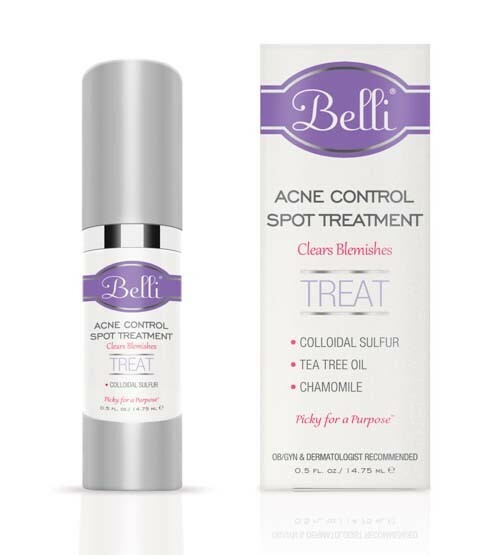 Belli Acne Control Spot Treatment reduces the severity of acne blemishes and may be used during pregnancy. Features colloidal sulfur, tea tree oil and chamomile. Penetrates the pores to help control acne blemishes and keep skin clear of new breakouts. Absorbs quickly and is non-greasy. FREE OF salicylic acid, glycolic acid, and benzoyl peroxide-common acne fighting ingredients that can result in over-drying and irritation and should be avoided during pregnancy. Acne Control Spot Treatment is a favorite of those struggling with pregnancy acne, adult acne, sensitive skin, or breakouts from any cause including hormonal changes. Allergy Tested. Paraben Free. No Artificial Dyes or Fragrances. Teratology Screened. LactMed Screened. OB/GYN & Dermatologist Recommended. All of Belli’s products are ‘pure’, meaning the ingredients have been safety screened for use during pregnancy and breastfeeding, making them perfect for anyone concerned with what they put on their skin They are free of artificial fragrances and dyes, phthalates and paraben preservatives. So enjoy your first trimester blemish free and start worrying about the things that really matter, like going to your check-ups, eating healthy, and, of course, getting as much sleep as you possibly can before your bundle of joy arrives! Eye Brightening Cream — A Vitamin K enriched eye cream that revives and illuminates tired eyes, and minimizes the appearance of fine lines. Pure & Pampered Body Wash – A pure and balanced cleanser for the entire body that leaves skin hydrated and silky, never tight or dry. All Day Moisture Lotion – After the shower, treat skin to this luxurious, deeply moisturizing cream featuring uplifting lemon oil and soothing chamomile. Healthy Glow Facial Hydrator — A daily moisturizer rich in botanical humectants and antioxidants. List Price: $ Varies per Product. Very reasonable!